Generally speaking, architects look to create spaces that flow well with their surrounding environment. 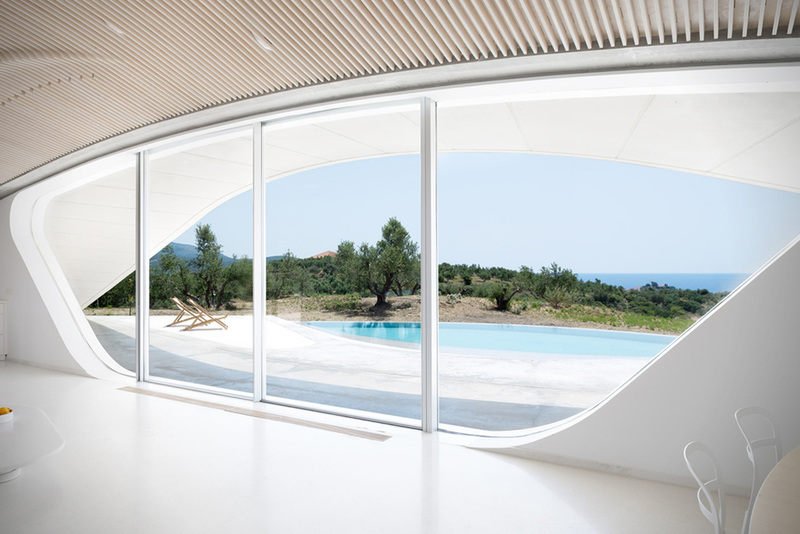 In the case of the Villa Ypsilon house by LASSA Architects – this building practically disappears. 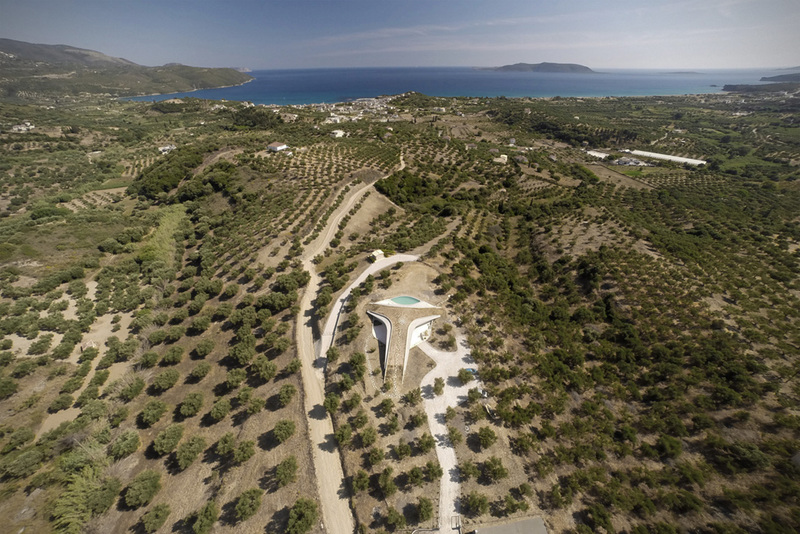 Located on the top of a hill in the middle of an olive grove on Greece’s Peloponnese peninsula, this home is integrated with the landscape almost seamlessly. The unique ‘Y’ shape of the building cordons off the areas immediately surrounding the home into three sheltered patios that look out over the bay. And while the exterior of the home certainly impresses, it is far from the only thing to marvel at. The interior space has a light and flowing quality to it despite the fact that it is broken into two distinctive parts; one for the three bedrooms and two bathrooms, and the other for the public area. To fend off the hot summer days without using any extra energy, the architects behind this project used a concrete shell along the roof and made sure to utilize the cross-ventilation provided by the unique shape of the home.